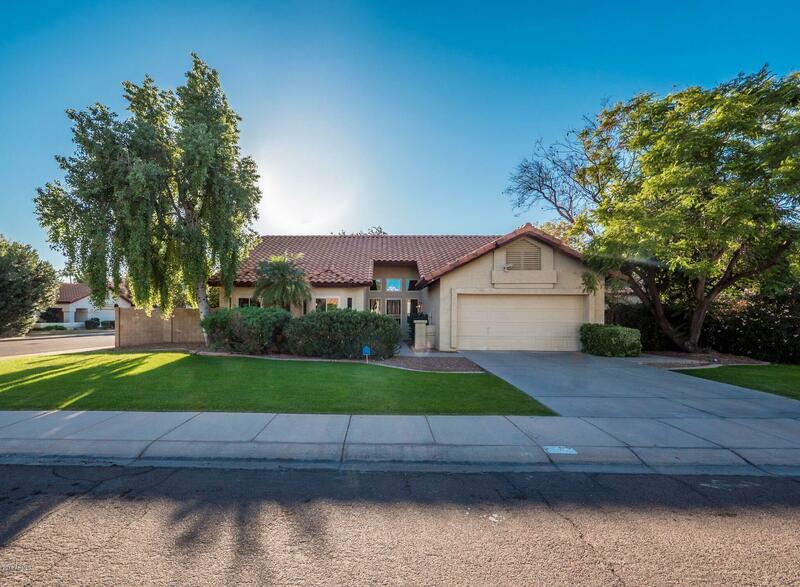 All TANGLEWOOD COVE AT VAL VI homes currently listed for sale in Gilbert as of 04/22/2019 are shown below. You can change the search criteria at any time by pressing the 'Change Search' button below. "Owners already moved, motivated to sell! 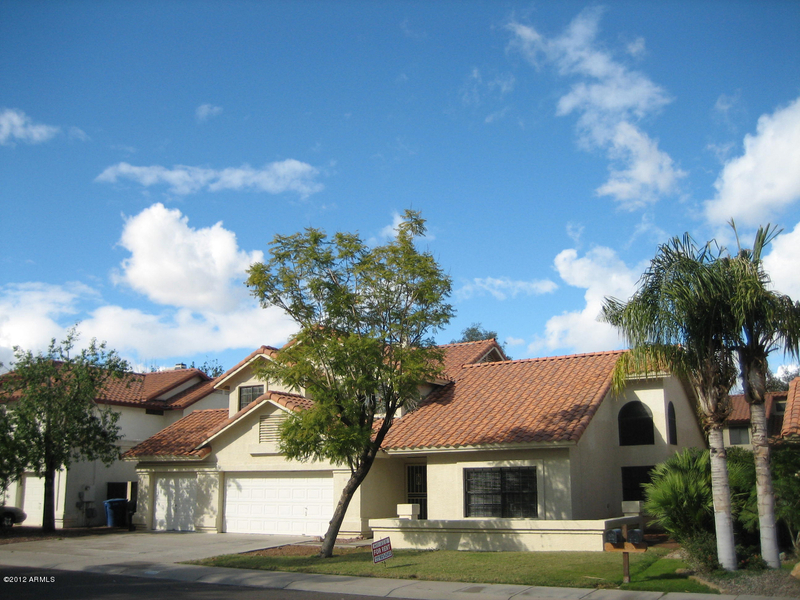 Beautiful updated home in desirable Val Vista Lakes neighborhood! Newly renovated 5 bedroom and 3.5 bath home features family and dining room with magnificent soaring ceilings, living room with wood burning fireplace, downstairs bedroom with attached full bath, 4 bedrooms upstairs including one with a walk-out to the spacious balcony, and a full master with large bathroom, double vanity, and walk-in closet! The kitchen features white cabinets, upgraded gr"
"3 BR/2 Ba Upstairs - 1 BR/Den/1 Ba Downstairs - Large Formal Living & Dining with Vaulted Ceilings - Breakfast Nook & Family Room with 2- way Fireplace - Inside Laundry Room - W/D Hookup - Master BR has walk-in closet, tub, shower, 2 sinks, large balcony - All 3 upstairs bedrooms have vaulted ceilings & ceiling fans - Full Length Patio In Rear Yard - Large Fenced Court Yard In Front - 3-Car Garage with epoxy floor - Professional Landscaped front yard - Large grass back yard - Possible Seller C"
"This charming 3 bedroom, 2.5 bath home is nestled on a cul-de-sac at Val Vista Lakes, one of the most desirable locations in Gilbert. 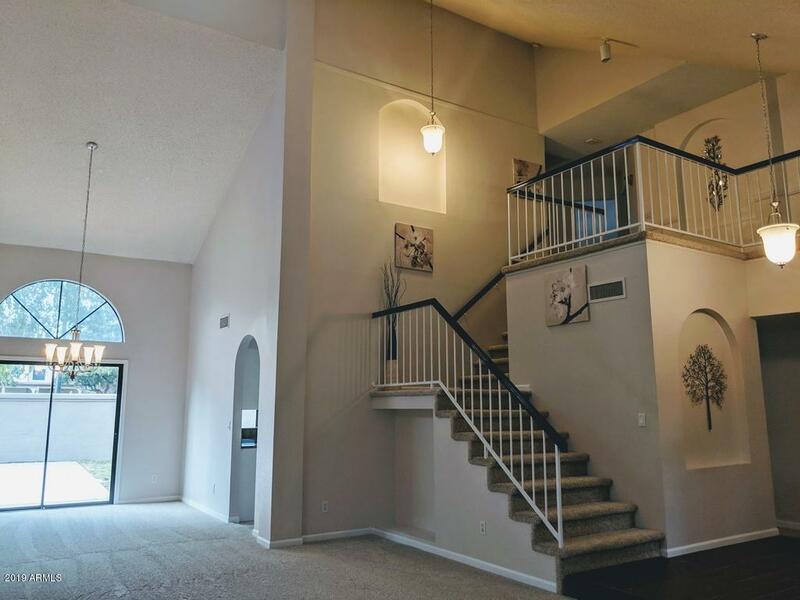 As you walk in you will find an open floor plan with soaring ceilings and plenty of natural light with NEW CUSTOM DUAL PANE windows throughout.Features include large master bedroom with newer sliding glass door that opens to the peaceful, grassy backyard with plenty of citrus trees! Master suite with twin sinks (professionally refinished in 2018), a separate showe"